Network Rail has been forced to scale back plans to electrify rail lines across the country, while the Government is set to establish new methods for delivering rail enhancements in the wake of financial and project delivery troubles. Works on the Midlands Mainline, the Great Western Mainline and parts of the North have been halted. In a written statement as Parliament on broke up for the summer on Thursday, the transport secretary justified leaving long-promised but expensive electrification works incomplete by claiming that using so-called bi-mode trains ‘offers seamless transfer from diesel power to electric that is undetectable to passengers’. The Department for Transport said ‘modern bi-mode trains will be used on Great Western and Midland Main Line’, with ‘the train operator in the Lake District beginning work to trial an alternative-fuelled train’. 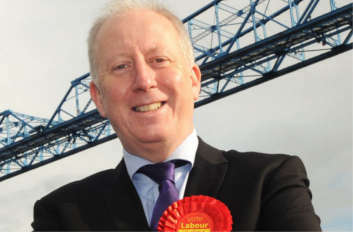 Andy McDonald MP, Labour’s shadow transport secretary, said: ‘The Tories have been promising the electrification of the Great Western Mainline from Paddington to Swansea since 2012 and today’s announcement confirms that they have been taking people for a ride. Mr Graying also published the Government’s high level output specification (HLOS) and initial statement of funds available (SOFA) for the railway for Control Period 6 (CP6), from 2019 to 2024. Mr Grayling said this would enable him to confirm the funding envelope by publishing a definitive SOFA by 13 October 2017. He added that the Government is developing a new process for delivering enhancements and intends to publish more information on this in the Autumn. The HLOS document states that its emphasis is on ‘the operations, maintenance and renewal of the existing railway’ and does not commit to infrastructure enhancements, which will be dealt with separately. In a statement to MPs, Mr Graylng said that, based on advice from the Office of Rail and Road and the rail industry, ‘the government has agreed that an increased volume of renewals activity will be needed over the course of control period 6’. Ken Skates, the Welsh Government's cabinet secretary for economy and infrastructure, said: 'I am extremely disappointed with today’s announcements that not only provide no commitment from the UK Government to enhance our rail network in the 2019-2024 period, but also roll back on the commitment to electrify the line between Cardiff and Swansea.